a) Twice the amount they had invested in her (i.e., as per the penalty clause) + b) Extra money spent as a result of delaying GFRIEND’s debut. The court found for the plaintiff in the amount of about 12.5 mil won. But the court recognized only “a)” because another trainee had also quit, yet the group debuted with only one additional member, not two. Meaning, it’d be unfair to pin the blame (for the delay) just on her. 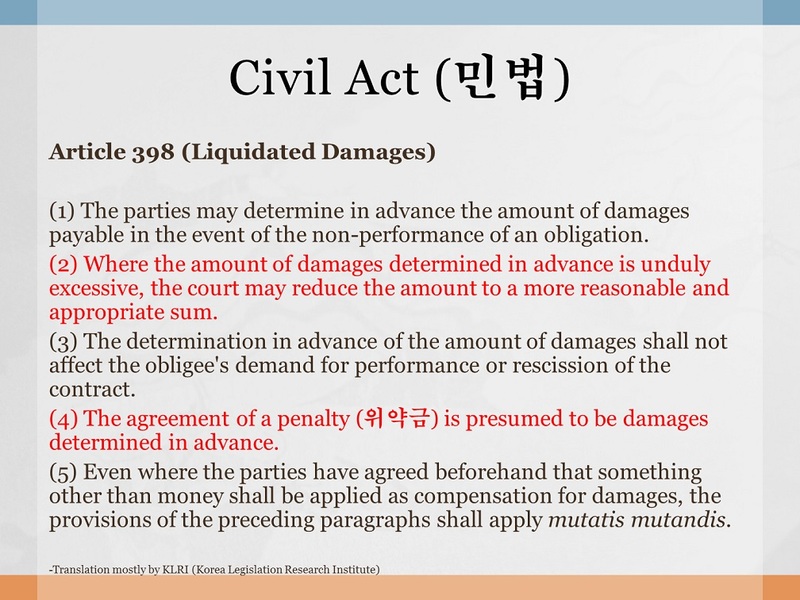 But either way, a penalty clause (under Korean law) is presumed to be “damages determined in advance” (손해배상액의 예정). This means the plaintiff can normally ask only for that fixed amount (and nothing extra). Not even for consequential damages! The exception: the plaintiff decides to sue for damages under tort (as opposed to breach of contract). GFRIEND Tidbit: Parts of GFRIEND’s music video “Rough” was shot in front of Yonsei University Main Building. The poli-sci building (연희관) I studied at is located just behind it. The two buildings look very similar.